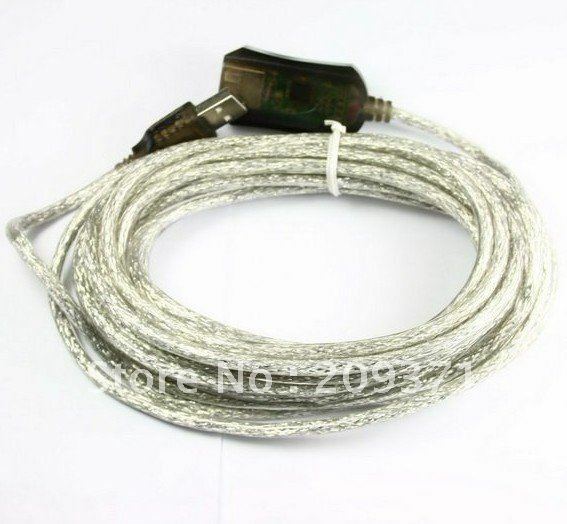 Wonderful 16 Foot 5M Male to Female Active USB 2.0 Extension Cable. The USB 2.0 Extension Cable extend the distance between your USB peripheral and your USB hub or computer, assure good signal quality to meet USB specification. Extend up to 25 m (serially connecting up to 5 segments), no signal degradation, it is a good choice for you! Extend the distance between your USB peripheral and your USB hub or computer. USB 2.0 Connectors: type male to female. In Stock! Wholesale Lightning to USB cable for iphone 5 USB 2.0 cable 8 pin to USB for iPhone5 50pcs/lot dhl free shipping!